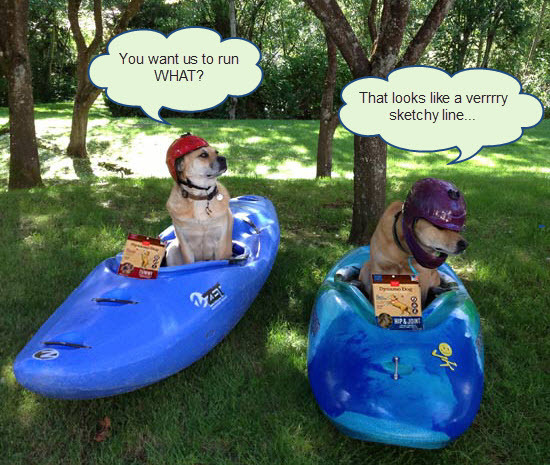 I occasionally get asked to review whitewater kayaking gear for this blog, and recently Jon Disarufino from Cloudstar dog treats (the “Wag more, bark less” people) asked if he could run some of their new line of dog treats past our kayaking pooches. Buddy and Libby were gung-ho to take on the project, and seeing as this is probably the closest they’ll ever come to being sponsored athletes, we decided to go for it. “Bring it on!” Taste testing is serious business. OK, in all seriousness, the dogs really loved these treats. 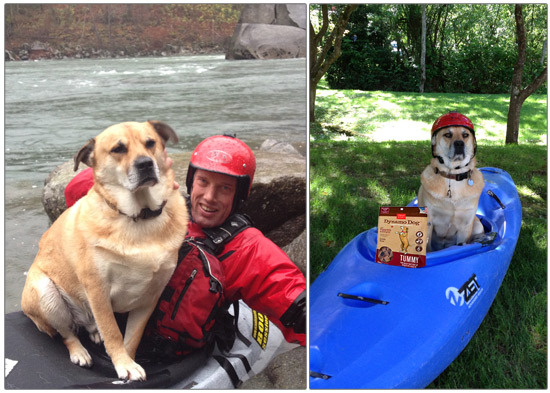 They got to try out the Dynamo Dog line (Hip and Joint, Skin and Coat, and Tummy :)), and needless to say we tested them all in real-life river situations. Libby scouts Log Limbo on Icicle Creek, knowing that healthy hips and joints are crucial to maintaining the aggressively forward kayaking posture needed for this challenging rapid. Buddy is more of a Tummy guy, in case you can’t tell from his general physique. 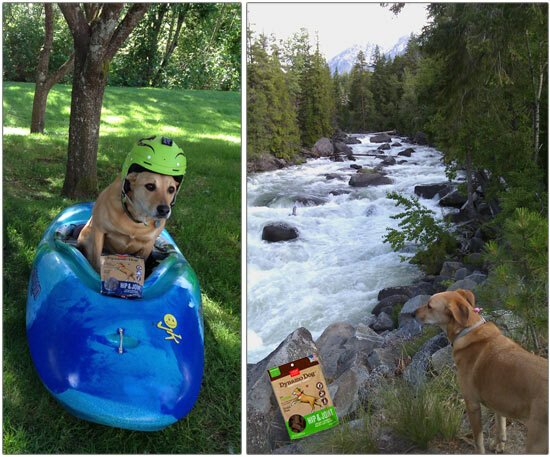 After a hard day of coaching owner Mike on the water (not easy to balance on that sprayskirt going through Boulder Drop, let me tell you), Tummy Treats help calm those butterflies as he gears up for some river time of his own. Left: Chilling out after a coaching session. Right: Serenely visualizing his next rapid, fortunately oblivious to the fact that those nose pegs are never going to fit. I should disclose, however, that even with Dynamo Dog treats as an incentive rebellion occasionally hits the ranks. But, all’s well that ends well, and fortunately at the end of the day the opposable thumb (and its ability to open a zip-locked bag of dog treats) still has the final say. 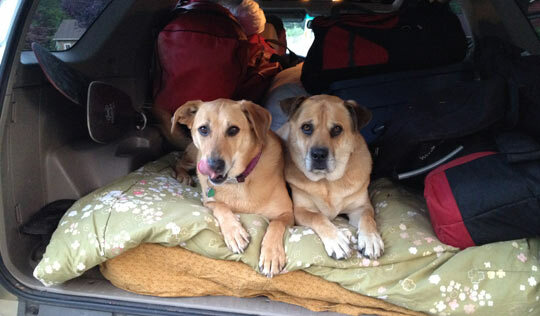 Libby and Buddy enjoy a sunny evening on the banks of the Middle Middle Snoqualmie. 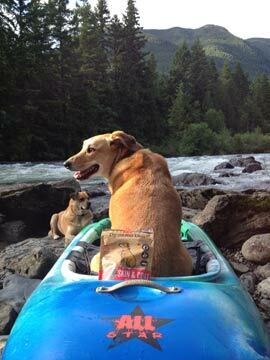 Ultimately the Dynamo dog treats held up well to the rigors of whitewater life and the dogs (seriously) really loved them. Let me just point out that the one Hip and Joint flavor is “Bacon and Cheese” – just exactly how bad could it be? I’m basically one skipped meal from trying one myself. :) OK, just kidding on that one. In case you’re wondering, we don’t review things on this blog for money, but we do review for fun and/or the public good. And also when it gives an opportunity to take silly pictures of the dogs and spread them shamelessly throughout the Internet. (And in this case, also because Jon from Cloudstar was so patient with me during my weeks of procrastinating.) Thanks Jon, the taste testing was a huge success!